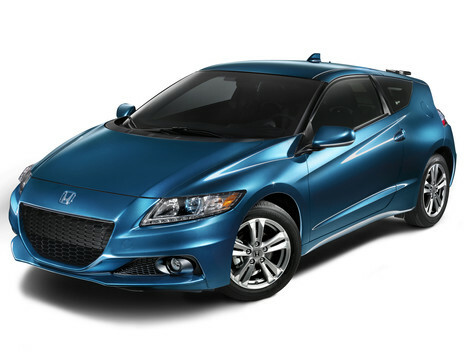 The 2013 Honda CR-Z sport hybrid coupe is the successor of the popular and the compact fun to drive CR-X. The CR-Z sport hybrid coupe is a real image of future cars that gives us hope that in future we would be able to drive fast, performance efficient, economical and innovative cars. The 2013 Honda CR-Z sport hybrid coupe is really sharp and aggressive that features a fascinating three quarter rear end pointing towards the front, a deep front bumper, white pearl paint, LED running daytime lights and improved dynamics. The interior of the CR-Z is also very innovative and comfortable that features a multiple sections dashboard makes your access easy control buttons. Ventilation controls are positioned on the left, driving modes at the right side and stereo panel is integrated in another way. The car is a perfect match for urban roads that offers firm and supportive seats for two however, taller people may feel difficulty in traveling in the car. The 2013 Honda CR-Z sport hybrid coupe is equipped with 1.5 liter in-line four cylinder gasoline engine that delivers 130 horsepower and 140 lb ft of torque that is notably increased as compared to the 2012 CR-Z model. The engine is paired with an electric motor that store energy in lithium ion batteries to increase acceleration. The engine is mated with a six speed manual transmission whereas consistent variable transmission (CVT) is optional. The EPA rated fuel economy is 31 mpg city and 38 mpg highway with manual transmission and is 36 mpg city and 39 mpg highway. The car accelerates from 0-60 mph in 7.8 seconds. The 2013 Honda CR-Z sport hybrid coupe safety features are multiple threshold front, front side, passenger sides and full length side curtain airbags, position detection system, active head restraints, pedestrian injury mitigation, ABS and Advanced Compatibility Engineering body structure. The car is available on sale now and is priced from $20,345 to $23,705. 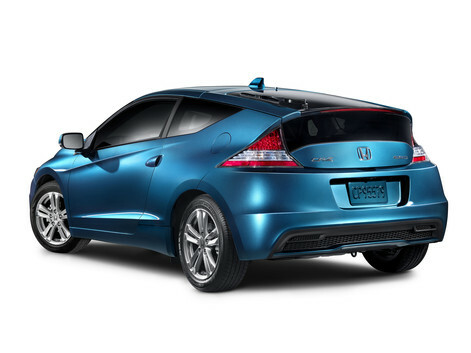 The 2013 Honda CR-Z sport hybrid coupe has to compete against Toyota Prius C, Kia Rio and Mazda 2. The 2013 Honda CR-Z sport hybrid coupe is a good car though it is not a perfect car and has some weak points. With few weak points, the car carries lots of sophisticated features too and so it is recommended by lots of expert reviewers.